Julia is the Founder of Financial Freedom Wealth Management Group, LLC. She has been practicing financial planning for more than 20 years and specializes in helping people who are either retired or close to retirement. Julia is recognized as being especially knowledgeable on topics relating to tax strategies for retirement and distribution planning. The Business Enterprise Institute (BEI) recognizes her qualifications to provide comprehensive exit planning services to business owners. 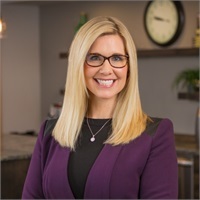 Julia is an Investment Advisor Representative and Registered Principal with LPL Financial, and has her Series 24, 7, 63, 66 Securities registrations held with LPL Financial, as well as her Life and Health Insurance license. In 2016, Julia became a SmartVestor Pro for nationally syndicated radio talk show host Dave Ramsey. She leads our SmartVestor Pro team for southwest Washington and most of Oregon. Furthermore, Julia provides her knowledge in a financial column in the Newport News-Times, and actively participates in her community as a Rotary and Chamber member. Julia works from our office in the beautiful coastal community of Newport where she resides with her husband and their three children. Dave Ramsey's SmartVestor Pro is a directory of investment professionals. Neither Dave Ramsey nor SmartVestor are affiliates of Financial Freedom wealth Management Group or LPL.